My preceptor recently asked me a questions that I believe all my followers should quickly review – what are the causes of troponin elevation in conditions other than acute coronary syndromes? Acute coronary syndromes comprise a large spectrum of clinical conditions ranging from unstable angina pectoris to acute ST-elevation myocardial infarction. Chest pain is usually the major symptom of atherosclerotic heart disease; however, it may be challenging to diagnose correctly, especially in the emergency department, because of the ambiguous way that pain is characterized by some patients. Cardiac troponins are sensitive and specific biomarkers used in the diagnosis of myocardial infarction that are released into the bloodstream when cardiac myocytes are damaged by acute ischemia or any other mechanism. They are the cornerstone for the diagnosis, risk assessment, prognosis, and determination of antithrombotic and revascularization strategies. However, troponin elevation indicates the presence, not the mechanism, of myocardial injury. There are many clinical conditions other than myocardial infarction that cause troponin elevation; thus, the physician should be aware of the wide spectrum of disease states that may result in troponin elevation and have a clear understanding of the related pathophysiology to effectively make a differential diagnosis. This review focuses on causes of troponin elevation other than acute coronary syndromes. Acute coronary syndromes constitute a large spectrum of clinical conditions ranging from unstable angina pectoris to acute ST-elevation myocardial infarction. Chest pain is usually the major symptom of atherosclerotic heart disease; however, it may be challenging to diagnose correctly, especially in the emergency department, because of the ambiguous way that some patients characterize their pain. Cardiac serum markers, especially cardiac troponins (cTns), are the cornerstone of the diagnosis, risk assessment, prognosis, and determination of antithrombotic and revascularization strategies. Physicians should be aware of the wide spectrum of disease states that may result in elevation of cTns and have a clear understanding of the related pathophysiology to effectively make a differential diagnosis. This review focuses on causes of troponin elevation other than acute coronary syndromes. Pubmed Central and Cochrane Library were browsed for related topics. 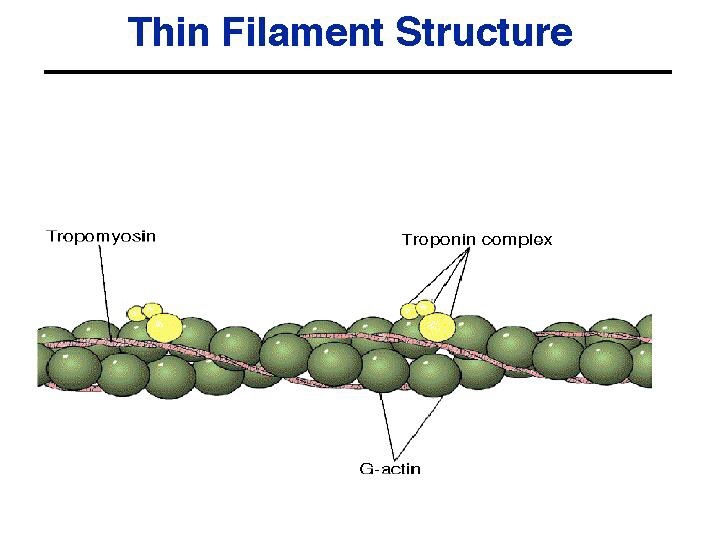 Cardiac troponins consist of three proteins known as cTnC, cTnI, and cTnT1 that interact with tropomyosin to form the troponin-tropomyosin complex. This complex forms the skeleton of the striated muscle and has a regulatory function in the excitation-contraction coupling of the heart. If heart muscle cells are damaged by acute ischemia or any other mechanism, these proteins are released into the bloodstream. The European Society of Cardiology/American College of Cardiology Joint Committee has redefined myocardial infarction (MI) to be an elevation of serum cTn above the 99th percentile of the healthy reference population in the presence of ischemic signs and symptoms.2 In addition, a rising and/or falling troponin pattern is an important component of the universal definition of MI. The major limitation of the standard cTn assays is their low sensitivity in the first few hours after MI at the time of the first presentation in the patient due to a delayed increase in the circulating levels of cTns. The diagnosis may take 6–12 hours of monitoring and serial blood sampling, which delays diagnosis and probably increases morbidity and mortality.3 To overcome this issue, highly sensitive cTn assays have been developed that can detect cTn levels well below the 99th percentile of the normal reference population.4 However, increased sensitivity comes at the cost of decreased specificity. Although the availability of highly sensitive assays allows for the earlier detection of MI, the number of patients with detectable cTn values in the emergency department or other in-hospital settings increases substantially as a result, which challenges the clinician to make a differential diagnosis. With these new assays in particular, nonischemic causes of troponin elevation should be kept in mind since troponin elevation indicates the presence, not the mechanism, of myocardial injury. Although cardiac troponins have been accepted as the gold standard in the diagnosis and risk stratification of acute coronary syndromes, misinterpretation of detectable troponin levels in the emergency department or other in-hospital settings may lead to confusion in terms of diagnosis and choice of suitable therapy options. Physicians should be aware of the nonischemic causes of troponin positivity as well as their pathophysiology and clinical impact in an effort to prevent unnecessary invasive and noninvasive treatments and coronary care unit admissions.